As Director of Financial Services, Mr. Davis is responsible for the marketing and business development of Vermont’s captive insurance industry, working closely with the Department of Financial Regulation and Vermont Captive Insurance Association to strengthen the state’s reputation as the premier on-shore captive insurance domicile. Within state government, Mr. Davis advises Vermont’s Governor and Secretary of Commerce on new captive insurance legislation and policy recommendations to assure a beneficial business environment for expansion and relocation within the state. 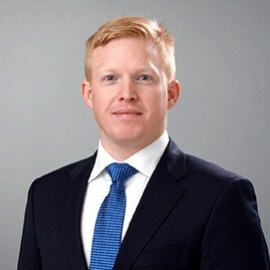 He also works closely with Vermont’s congressional delegation, monitoring policy pertaining to the regulation of captive insurance and related financial services industries.